Bay Area residents should prepare themselves for heavy rain and strong winds when a storm expected to be the largest of the season so far hits the region Wednesday and Thursday, National Weather Service officials said. The storm is expected to bring 3 to 5 inches of rain to the North Bay starting Wednesday night and 1.5 to 3 inches to major urban areas in the San Francisco Bay Area and Monterey Bay Area on Thursday, weather service forecaster Roger Gass said. Some coastal mountain areas could get up to 8 inches. Rain is expected to be especially heavy Thursday morning and some roadways will see flooding. "It looks like the commute is going to be kind of messy, but the heaviest rain is expected later in the morning," Gass said. Larger rivers such as the Russian River and Napa River are expected to stay below flood level, but flooding is expected along creeks and in poorly drained low-lying areas on Thursday. "Most of our main stem rivers are still expected to stay below action stage, those are still handling the rain rather well. Our main concern is going to be on the small creeks," Gass said. Strong winds will bring a high risk of downed trees and power lines, especially Thursday afternoon and evening. Wind gusts could reach 35 to 45 mph in urban areas, 40 to 50 mph along the coast and up to 60 mph in mountain areas above 1,000 feet. In coastal areas, residents are warned to expect high surf, with breakers exceeding 20 feet. Localized mudslides and rockfalls are also possible, especially in areas where fires burned this summer. Debris flows are a particular concern in Monterey County's Pfieffer Burn Scar in Big Sur. State emergency officials urged Californians to make sure they stay safe and prepare for an emergency by making sure they have supplies on hand for 72 hours, know how to evacuate quickly and stay away from rising creeks and rivers. Mark Chilarducci, director of the state Office of Emergency Services, said in a statement, "The public safety community will be very busy during these storms and its important to help reduce 911 call volumes by lowering your risks of danger as much as possible." The California Highway Patrol is warning drivers to expect flooding on freeways, especially close to roadway edges and outside lanes. Drivers should slow down, avoid driving through standing water and make sure headlights are on whenever windshield wipers are activated. 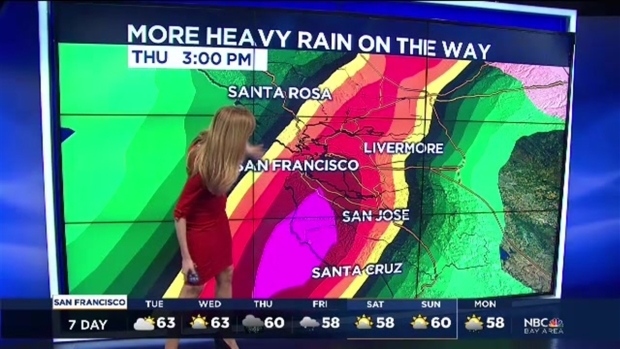 Meteorologist Christina Loren breaks down our upcoming storm, including timing, rain totals, snow totals and wind damage risks. 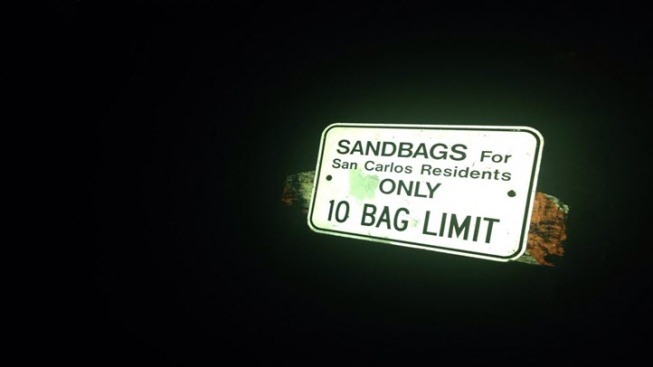 A number of Bay Area communities have sand bags available to residents to help with localized flooding.